The project Towards Greater Gender Equality: Promoting the Role and Image of Women in the Southern Mediterranean Audiovisual Sector – SouthMed WiA, is designed to promote gender equality and support the film sector in seven Southern Mediterranean countries: Algeria, Egypt, Jordan, Lebanon, Morocco, Palestine, Tunisia. The overall objective of SouthMed WiA is to strengthen the capacities of the audiovisual operators in the target countries to contribute to sustainable development and cultural diversity, by promoting gender equality and enhancing the image of women in the film sector. The indicative amount available for the 3 lots is EUR 340 000. Any grant requested under this call for proposals must fall between minimum EUR 80 000 and maximum EUR 100 000. SouthMed WiA reserves the right not to award all available funds if the submitted applications do not fill the selection criteria. 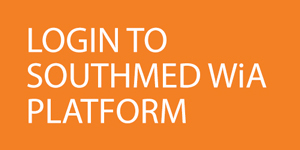 SouthMed WiA is implemented by a consortium led by Interarts, Spain, in partnership with: Culture & Media Agency Europe (CUMEDIAE), Permanent Conference of the Mediterranean Audiovisual Operators (COPEAM), The Screen Institute Beirut (SIB), Superior School of Audiovisual and Cinema of Tunisia (ESAC) and in association with the European Women’s Audiovisual Network (EWA). For the purpose of the present call for proposals, Interarts will act as “contracting party” on behalf of the consortium. SouthMed WiA is funded by the European Union within the framework of the regional programme MedFilm designed to contribute to cultural diversity and development by promoting equality, namely gender equality in the southern Mediterranean region through support to the film sector. 1In this call for proposals the audiovisual sector includes fiction, documentary and animation, be them for theatrical release, TV programmes or the web. The sector is also called “film sector” in the text.